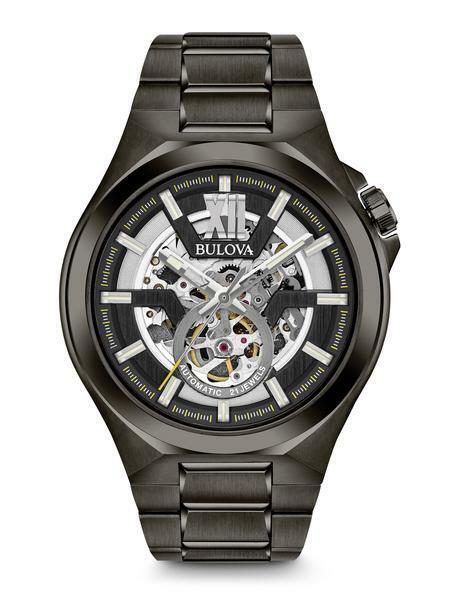 Sealed-tight construction in sporty gray-on-blue, from Bulovas Marine Star watch collection. 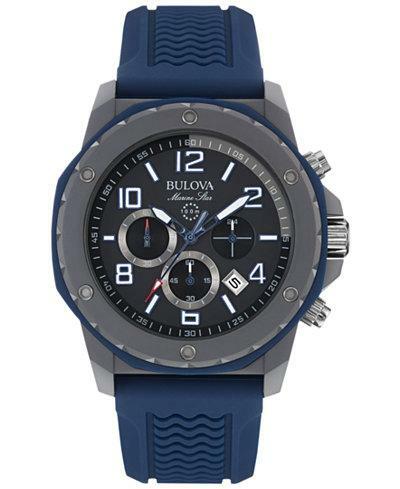 Blue textured silicone strap. 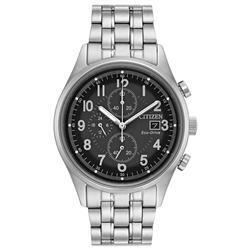 Round gray-tone stainless steel case, 44mm, blue outer ring Black chronograph dial with luminous indices, numerals, three hands, three subdials, date window and logo. 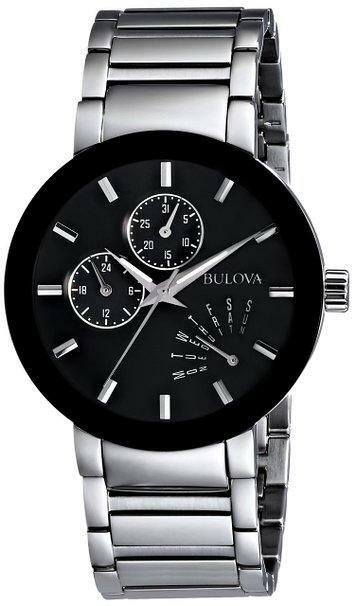 Quartz movement, Water resistant to 100 meters, Three-year limited warranty.